Porsche of South Shore is the premier Porsche Service Center for owners in Freeport, Long Beach, Merrick, Rockville Center, Oceanside, Queens, the Rockaways, Nassau County and Long Island. There’s no experience more thrilling than unleashing the full potential of your Porsche 911, Boxster, Cayman, Cayenne or Panamera for the first time. It’s a feeling that Porsche of South Shore never wants to see fade due to excess wear, which is why we offer an onsite auto service and repair center that’s staffed by highly trained Porsche technicians. 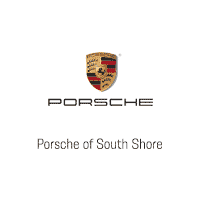 Porsche of South Shore is committed to offering Porsche service that not only meets your needs, but that also exceeds your expectations in terms of quality of work and trust. By doing so, we hope to establish a partnership with you that results in many exciting miles behind the wheel – ones that are worry free and safe.